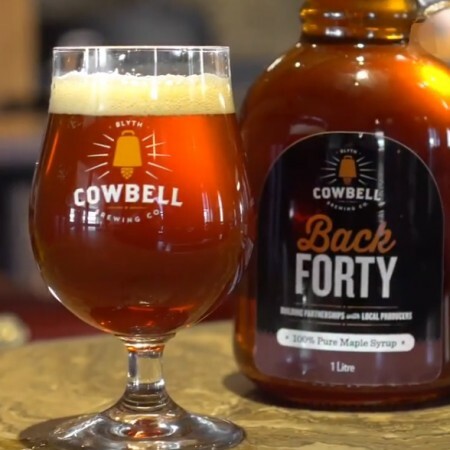 BLYTH, ON – Cowbell Brewing has announced details of the 15th release in its Renegade Series of limited edition draught-only beers. Belgian Maple Dubbel was brewed in September 2017, with local dark maple syrup supplied by Regal Point Elk Farm from Georgian Bluffs, ON. The rich and treacly syrup replaces traditionally used Belgian Candi Syrup. Four specialty malts, along with Cowbell’s Floor-Malted Bohemian Pilsner Malt, one hop variety, and a fruity Belgian Ale yeast, combine to make a wonderfully savoury sweet beer. Now perfectly matured, it is an exciting twist on a classic! Belgian Maple Dubbel is available now in the Cowbell taproom in Blyth, and at select bars in Ontario, while supplies last.